Simmba Box Office Collections Day 1: All Set To Beat Shah Rukh Khan’s Zero! Simmba Box Office Collections Day 1: Film which was earlier clashing with Shah Rukh Khan’s Zero is finally released a week after. Ranveer Singh’s combo with Rohit Shetty hyped up the hopes of many but few had this apprehension of what if everything goes over the top. It’s finally out and people just can’t stop themselves from talking amazing things about the film and performances in it. Simmba took a decent start with 35-40% morning occupancy but it were the single screens and mass dominated areas that are shining since the morning. Spot bookings are going full throttle & the word of mouth is out and positive. Shah Rukh Khan’s Zero opened a bit higher than this one in the morning but felt flat by the evening because of negative word of mouth. The mass centres are reporting a 65-70 of occupancy throughout the nation. This is bumper news for the film & will help it to have an extremely good first day. Shah Rukh Khan’s Zero did 20.14 crores on its first day at the box office. But, going by the current standing, it could be said that Simmba will surely surpass that number on its first day. Being said that, again, the evening shows will play a huge role to boost the numbers and right now the advance seems good. Spot bookings will also come to play helping the film to overshadow Shah Rukh Khan’s opening day at the box office. What do you guys think? Will Simmba beat Zero on its opening day at the box office? Vote below! Simmba Box Office Day 1 Morning Occupancy: Ruling The Masses Pan India! Simmba Box Office: 114 Crores In 3 Days To Beat This Record Of Ranveer Singh! 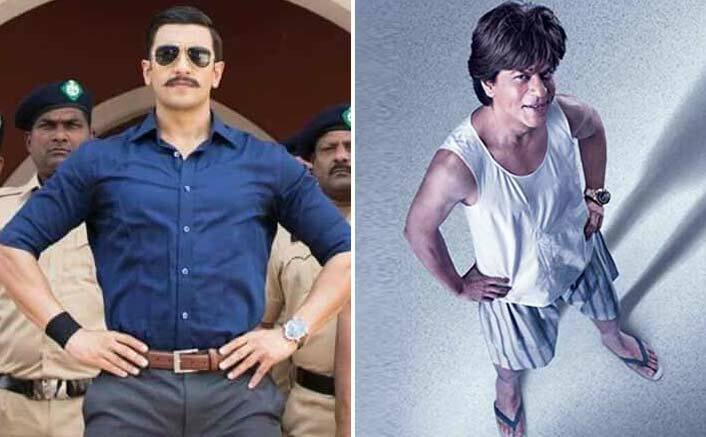 The post Simmba Box Office Collections Day 1: All Set To Beat Shah Rukh Khan’s Zero! appeared first on Koimoi. Simmba Box Office Day 1 Advance Booking Report: All Set For A BLOCKBUSTER Start! Priyanka Chopra - Peoples Choice Awards 2016 in L.A.